It's my great pleasure to introduce The Psychology Podcast with Dr. Scott Barry Kaufman, where we give you insights into the mind, brain, behavior and creativity. 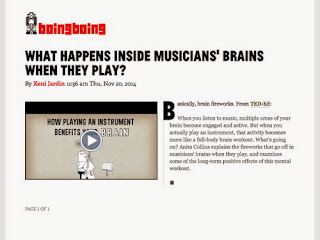 Article: What happens inside musicians' brains when they play? 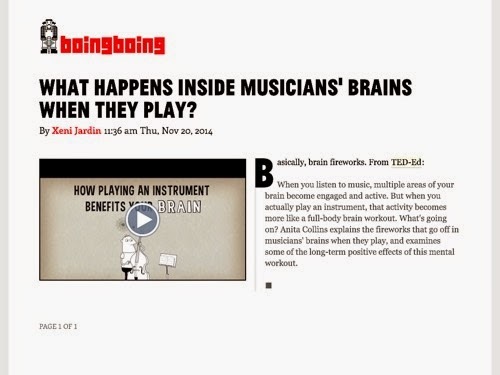 What happens inside musicians' brains when they play? 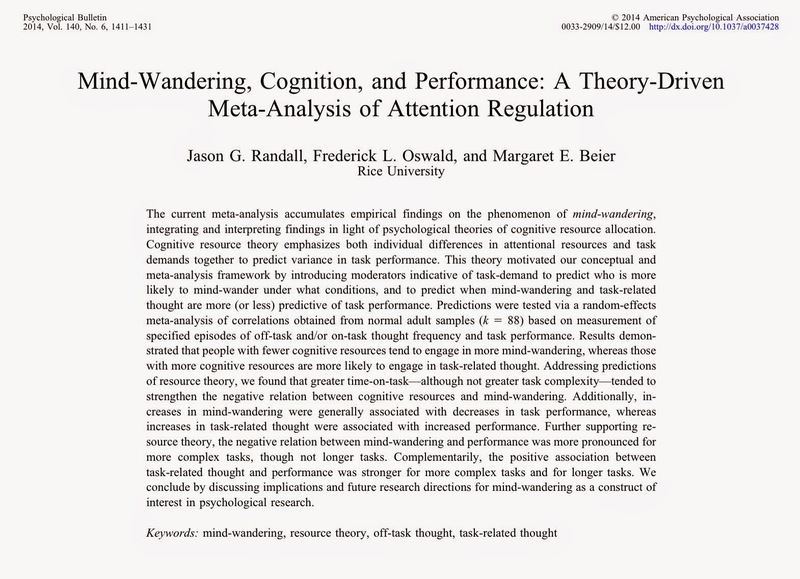 Author(s): Cooper, Miriam; Thapar, Anita; Jones, Derek K.
Gf (Ravens) training: Improved Gf, Gv, or cognitive strategies? Very thought provoking article with solid methodological recommendations for conducting research on brain training programs that are inteneded to increase fluid intelligence (Gf) or working memory (Gwm). 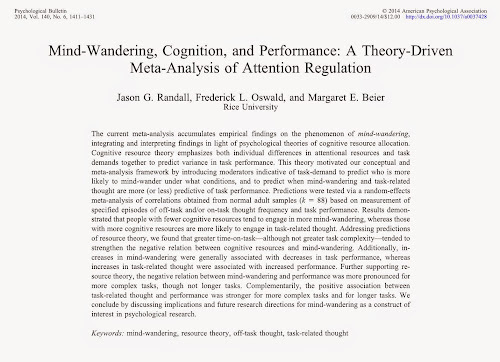 Mind-wandering has been defined as “a situation in which executive control shifts away from a primary task to the processing of personal goals . . . [and] often occurs without intention or even awareness that one's mind has drifted” (Smallwood & Schooler, 2006, p. 946). Article: The Brain-Games Conundrum: Does Cognitive Training Really Sharpen the Mind? Excellent article by Klingberg (2014) (copy with annnotated comments and links to other research) that brings together important constructs of working memory (Gwm), working memory training, brain networks and synchronization, white matter mattters, neuroal and temporal processing efficiency, and maturation and training effects on children's cognitive development. The article does a good job of "connecting the dots" from many different programs of research.